Old & New Record EQ—Made Easy! The Revelations will make it easy for you to archive older records. As well as being a stereo RIAA preamp there are settings for other types of record, so rather than guessing the tonal balance, the Revelations have all the EQ settings you should need arranged on a three switch front-panel matrix. Each one is supplied with an Old Record EQ information sheet, and more information on old record EQ can be found here. There's a model for high output cartridges - the Revelation M; and a model for low output moving coil - the Revelation C.
The Revelation M is available with either the basic ("green energy") power supply or the PSU1 power supply for improved sonics. 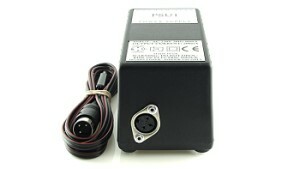 The Revelation C is supplied with the PSU1 power supply only. Both models are fitted as standard with a rear panel mono-switch. Sharing similarities with our Jazz Club archival phono preamp, the Revelation phono preamps use the more advanced circuit techniques of our Reflex M hi-fi RIAA preamplifier and Reflex C phono preamps. Our research into the equalisation required for numerous old record labels makes it easy for you to select the most suitable tonal balance time after time. Being arranged as presets on front panel switches, the guesswork of variable controls is taken away, leading to repeatable results. 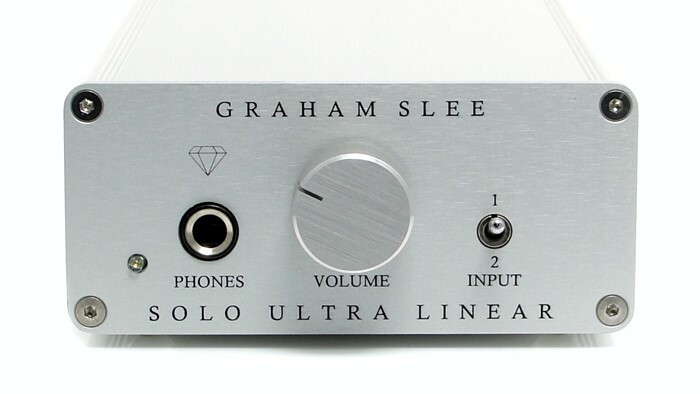 There is also an RIAA setting for modern stereo vinyl records, which makes it a significant stereo RIAA preamplifier. The Revelations are suitable for professional archiving use as well as private use where you want the option to play and archive records from different eras. Look here for more information about playing older records. 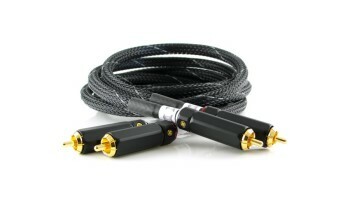 The Revelation M stereo RIAA stage is for high output cartridges of the moving magnet, high output moving coil and high output moving iron varieties. 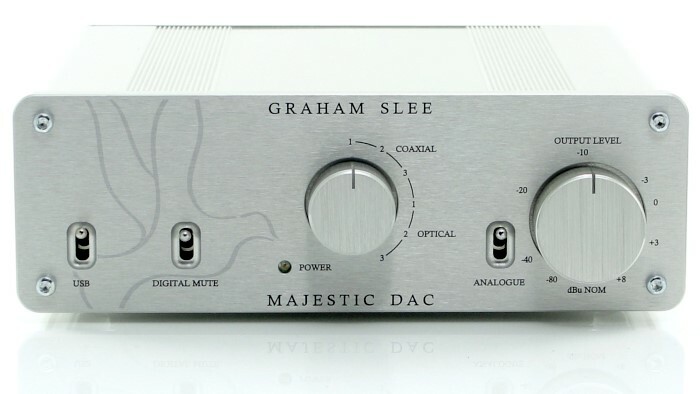 Based on the Reflex M hi-fi RIAA preamp, it is optimised for these high output cartridges - its input stage having more than adequate dynamic headroom to be able to accept the largest signal peaks. By "dynamic" we mean it can handle peaks without slew-induced distortion, and transients whether musical or due to surface imperfections, do not get "slew-distorted". This is an important factor which means archival copies will retain more of the original detail with fewer distortion artifacts. For best results we recommend you choose the PSU1 power supply option for the Revelation M. It is otherwise available with the basic power supply which is low-energy and is suitable where equipment has to comply with low-carbon targets. 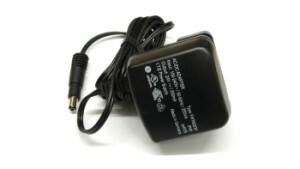 The Revelation C is only supplied with the PSU1. With the final Depeche Mode track, the Revelation’s abilities make for a superb performance too. The speed and attack coupled with the bass response result in a powerful performance and there is an appealing tonal darkness to the upper registers that complements the nature of the music extremely well. The slight congestion that is present in the upper midrange is handled well and the emotional content to the vocals is delivered very effectively. 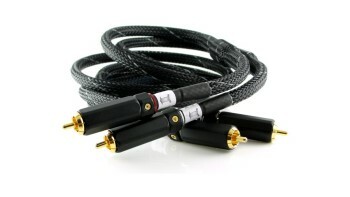 In short, it’s a phono stage that’s as easy to shell out the ducats for as it is to enjoy. Add the immense improvement in sheer musicality that can come from judiciously using those selectable EQ curves, and it’s a no-brainer. Perhaps that’s the Revelation M’s most defining quality: Its ability to consistently deliver musical joy, record after record, night after night, RIAA LP or otherwise. If getting the most musical and sonic goodness from your cherished LPs (or shellacs!) without breaking the bank is important to you, give a listen to the Revelation M. You just might fall in love with it, as I did. And maybe you’ll buy one -- as I did. Running the [Revelation plus Elevator] as a straight RIAA stage and optimizing the front-end loading, the performance is more than impressive for the price. But as soon as you start using the EQ facilities on the MM stage, the musical delivery steps up several levels – to the extent that with certain records it starts to challenge the musical virtues (as opposed to the sonic qualities) of the more expensive units here. The Previn/LSO Rachmaninov 2nd Symphony, a 1972 EMI recording is a good example of this. A wonderfully lyrical reading, this is an early pressing of an otherwise unremarkable record you might easily pick up in a charity shop/thrift store, or at a bottom dollar price from a specialist secondhand dealer. Played via the RIAA only Groove and Herron stages it’s a nice but rather run-of-the-mill outing, a shade stilted and constrained. It sounds much the same via the Rev/El when it’s set to RIAA EQ. But switch it to the preferred setting for EMI recordings and the transformation is astonishing. Suddenly it becomes sumptuously fluid and powerful, graceful and sweeping; suddenly it has you wanting to conduct the orchestra, a sure sign that it has taken on a new level of musical involvement but also that there’s a natural weight and momentum at work. Echoing Steve's helpful posts, I've never regretted buying a Revelation M. I think a number of my records are non-RIAA, mostly FFRR/Decca ones and some second hand imports, it has lifted them with -11dB HF. I've got a few modern LP's that are very trebly and the -16dB came in handy. The different LF's help on a few by tightening a loose/boomy low end on some older records, I can't prove that's the EQ that was cut. Even if you were in the MF/RIAA camp, the Revelation is a subtle and very high quality EQ to get the most out of your vinyl. Some time ago I scored a set of recordings in mint condition, mono, pressed perhaps in the late 40's or early 50's, of performances of Beethoven by the BBCSO conducted by Arturo Toscanini, originally recorded in 1937-39, reputedly very fine performances, but ones that, even with a mono cartridge did not sound "right". Tonight, between playing with the settings on the Revelation and cartridge loads on the Exp they have been brought to life and I could focus on the performances rather than the sound. Wonderful stuff, worth every penny to be able to release the glory of these recordings and historic performances on nearly their 75th anniversary. I have lots more older recordings that I am sure will benefit when I find the right settings for them. A Revelation indeed. I've been using a Revelation M for several months now and it just seems to get better and better. Initial set-up was to power a Rega Planar 3/RB300/Ortofon 530 combination into one of the line level inputs of an Audiolab 8000A. After leaving the Revelation powered up for about a week to burn-in, the difference between it and the Audiolab's built-in phono stage was ... a revelation! The inevitable surface hiss was reduced and sent well to the background while the soundstage was widened and made more 3-dimentional. It presented detail that I didn't know existed and made the whole vinyl listening experience much more exciting. The effect was so marked that even Mrs Bi-wire, who professes to be tone deaf, noticed the improvement straight away. Most of the time, the selection switches are set to RIAA but I have experimented with a couple of old DECCA recordings and the bias settings really do have an impact. ...I was pleased with the easy-going, not noisy way that the Revelation seemed handle any music....it's true that many of these recordings rise to another level when correctly equalized, weird things disappear and the original tonal balance all of a sudden makes much more sense. 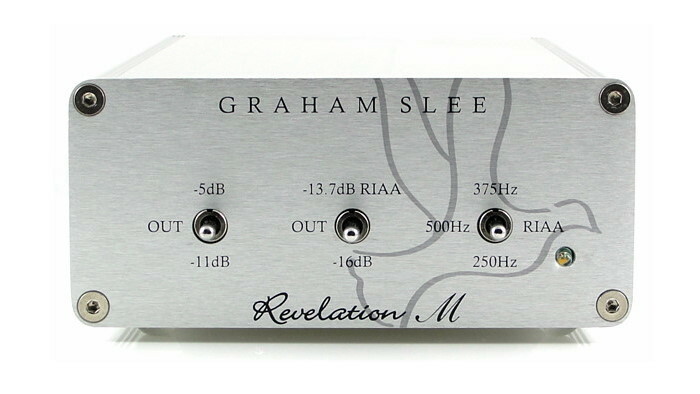 It is then when multi-EQ phono stages such as Graham Slee Revelation M become highly valuable.